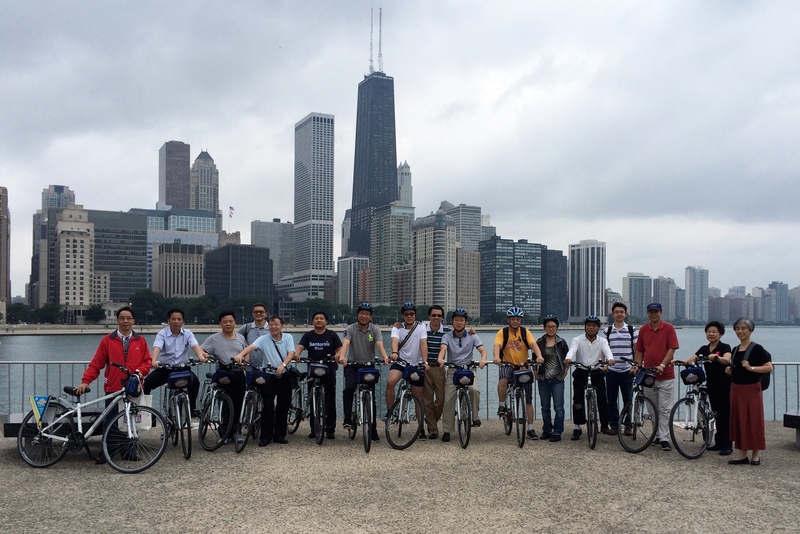 On Tuesday, September 2, the Paulson Institute celebrated the arrival of the delegates of the second China Urban Sustainability Senior Leadership Training Program to Chicago. 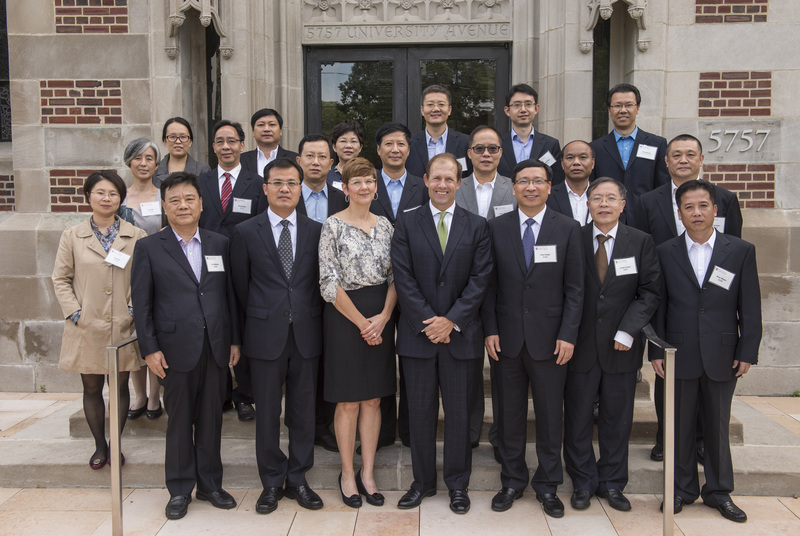 Twelve mayors from cities in the southern Chinese province of Guangdong will be studying sustainable urban planning in the United States under the auspices of the Paulson Institute for two weeks. The program, in its second year, is run in collaboration with the China Association of Mayors (CAM) and the China Center for International Economic Exchanges (CCIEE) and sponsored by the Hyatt Hotels Corporation, The Energy Foundation, and Motorola Solutions. 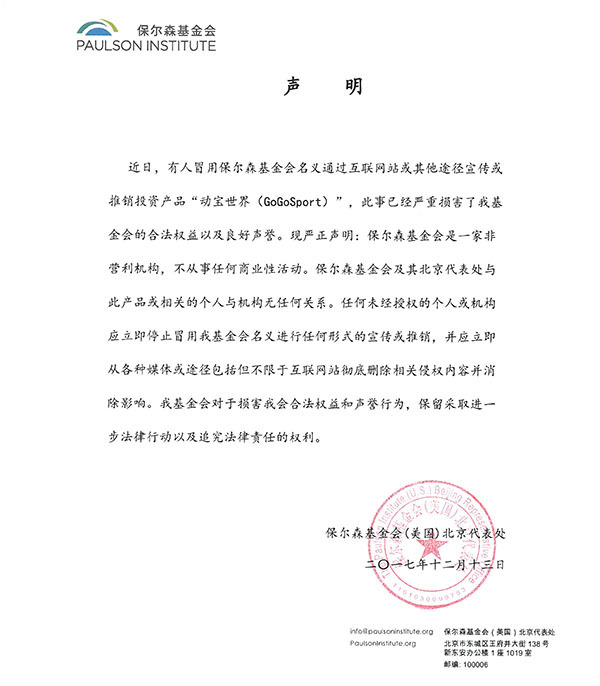 It is part of the Paulson Institute’s Program on Sustainable Urbanization, which seeks to make a positive impact for cities, citizens and the environment, in China and beyond. The Paulson Institute is committed to supporting China’s mayors, as they are central to the implementation of sustainable projects in China. Last year’s program hosted a delegation from Beijing. “We are excited about this program, now in its second year. 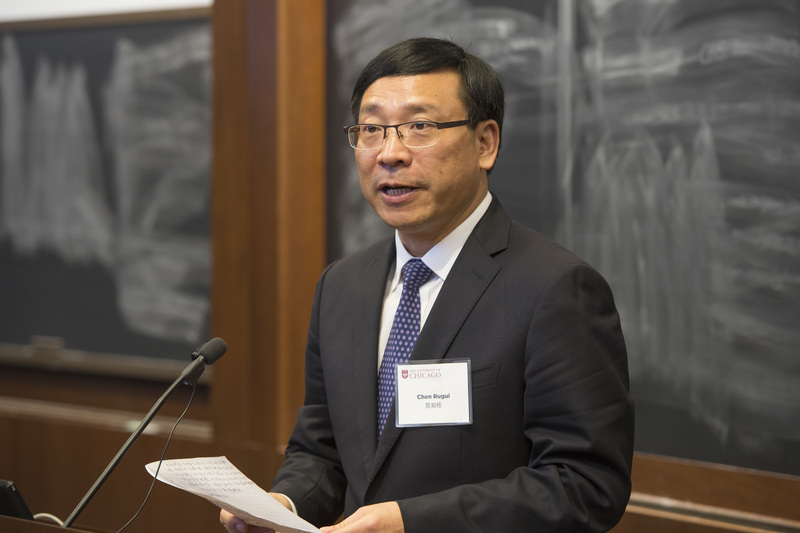 Chinese mayors are on the front lines of China’s efforts to manage the largest mass migration in human history,” said Leigh Wedell, Chief Sustainability Officer for the Paulson Institute, who organized this year’s program. “Our goal is to help empower mayors with best practices and lessons learned from the US experience. We hope to provide them with new tools to implement meaningful and positive change in their cities,” she said. The three-part training program began with a week-long intensive session at Tsinghua University in Beijing. The classroom instruction continues at the University of Chicago’s Graham School of Continuing Liberal and Professional Studies’ Leadership in Sustainability Management Program. Additionally, the delegation will conduct site visits across the city to Motorola Solutions, UL, Wanxiang America Corp., and other companies, as well as World Business Chicago and governmental enterprises fostering innovation in sustainability. Karen Weigert, Chief Sustainability Officer of Chicago, will brief them on environmental initiatives in the city. Following a week of study and site visits in Chicago, the delegation will travel to Miami, Florida, to learn about and observe successful urban sustainability projects. Miami was selected because many of the environmental and social issues facing the region parallel those in Guangdong. The delegation will be looking at Miami’s solutions to flooding, coastal resilience and freshwater supply management. In Miami, the delegates will meet with their mayoral counterparts, local sustainability experts and officials, and visit the University of Miami to discuss the unique facets of various urban sustainability agendas.